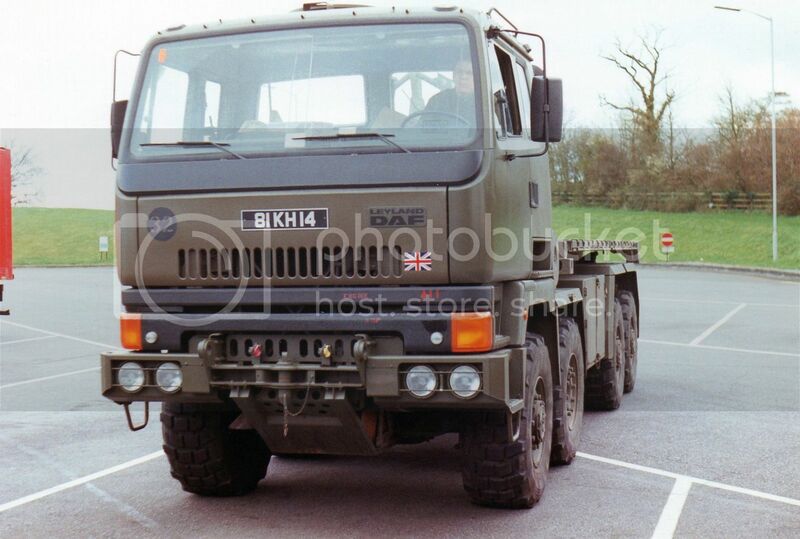 The following photos are from my collection, but were purchased from a truck enthusiast who was swapping photos with a UK enthusiast. Therefore I have no idea who took them. 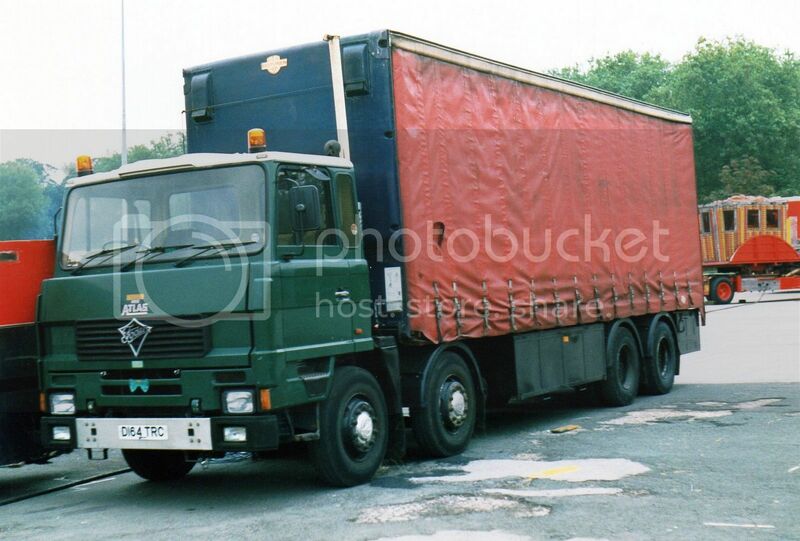 8 wheeler Foden with curtain-side body and vertical smoke stack behind cab. I'm not sure if this Crusader was still in army use at the time or in the hands of a military collector. NZ Crusaders were all Detroit powered, but I suspect this is probably Rolls Royce. 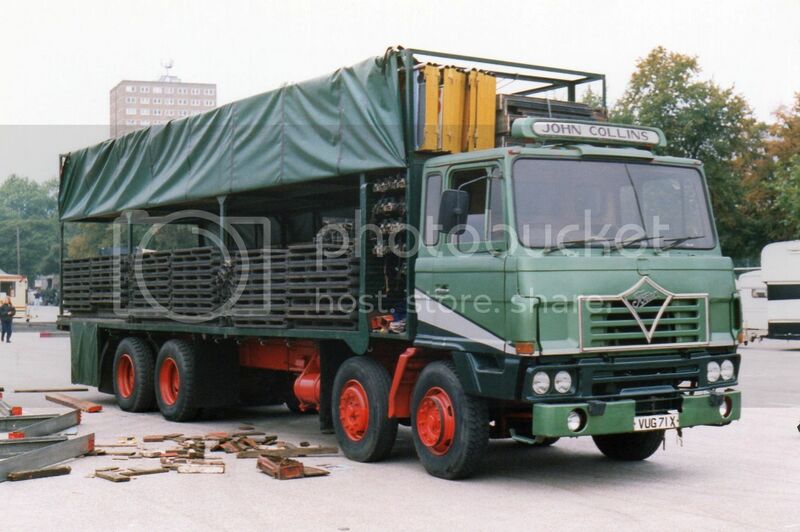 Unlike NZ models it is badged Leyland instead of Scammell and also has a different headlamp lay-out. Also note it is LHD. 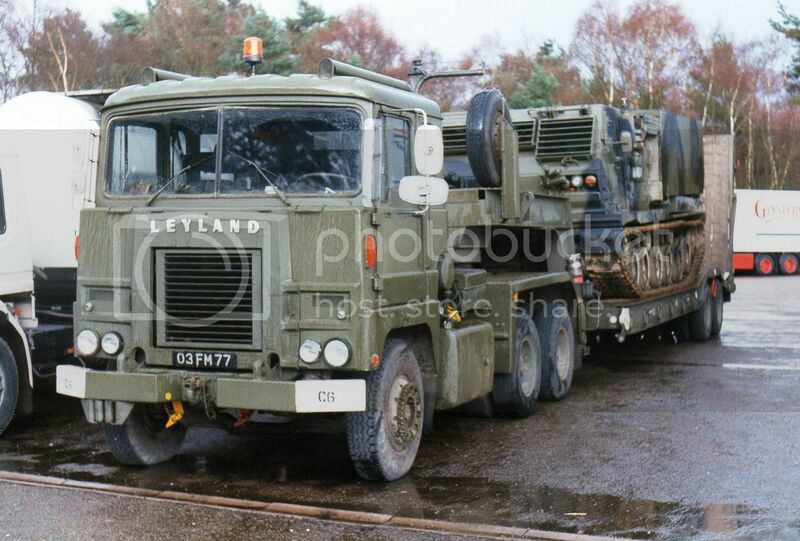 The Leyland DAF is also LHD and is what the defence people call a Medium Mobility Vehicle. The second steering axle is not driven so it is therefore an 8x6. i.e. 4x2 tractor with 3 axle semi. 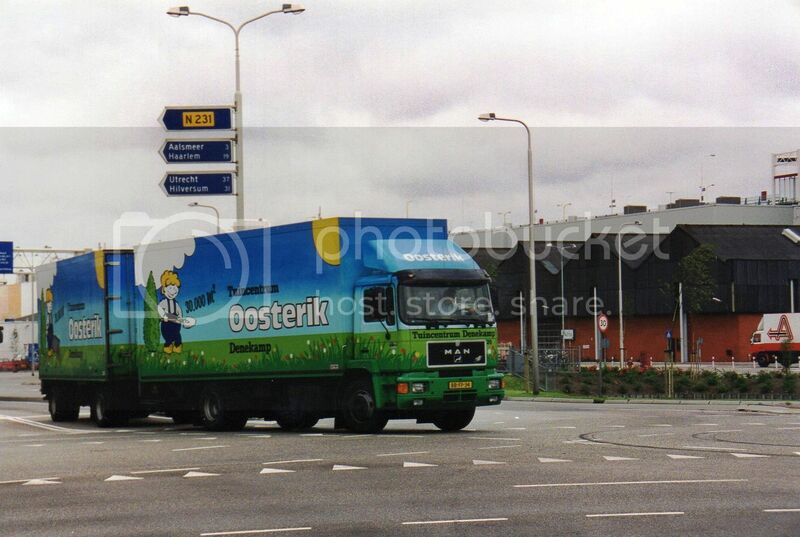 4x2 MAN with 2 axle trailer has a distinctive livery. Another rig from the Netherlands. 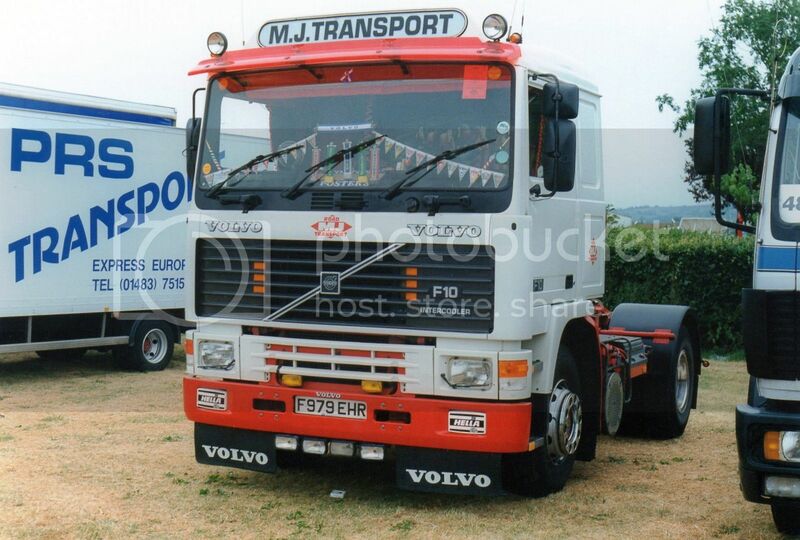 F10 Volvo in typical UK 4x2 tractor set-up. 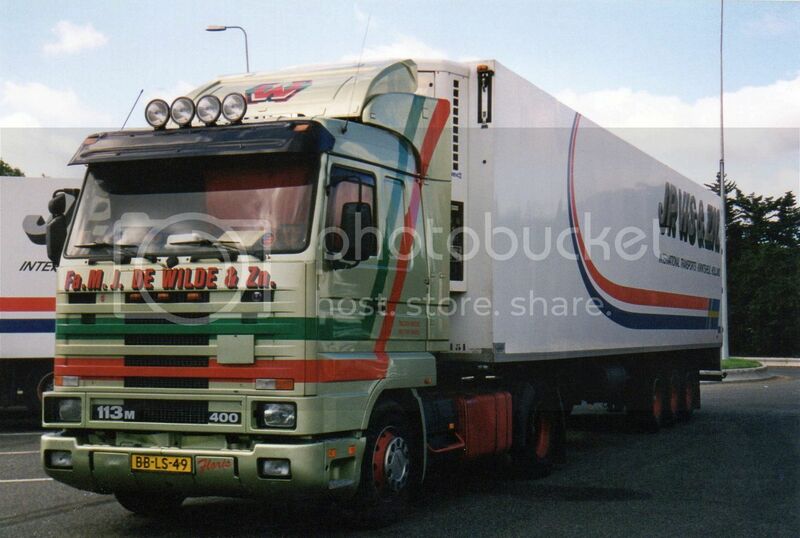 M.J.Transport is from Basildon in Essex. 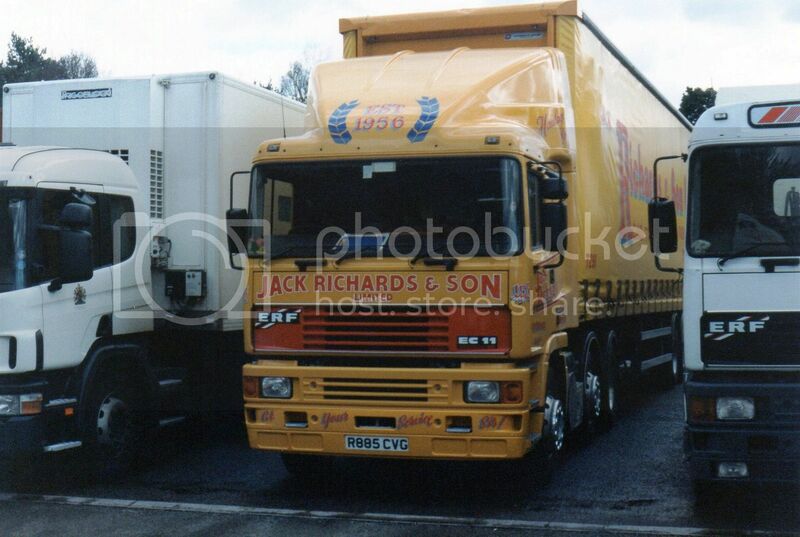 This Jack Richards & Son ERF EC11 is in the 6x2 format with a second steer axle. This truck based at Fakenham in Norfolk. 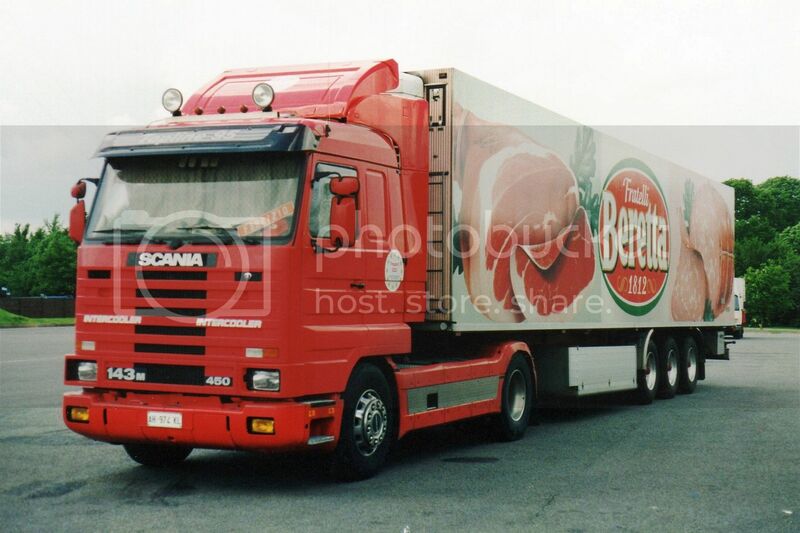 Scania R143M Topline 95 haling fridge full of meat products. 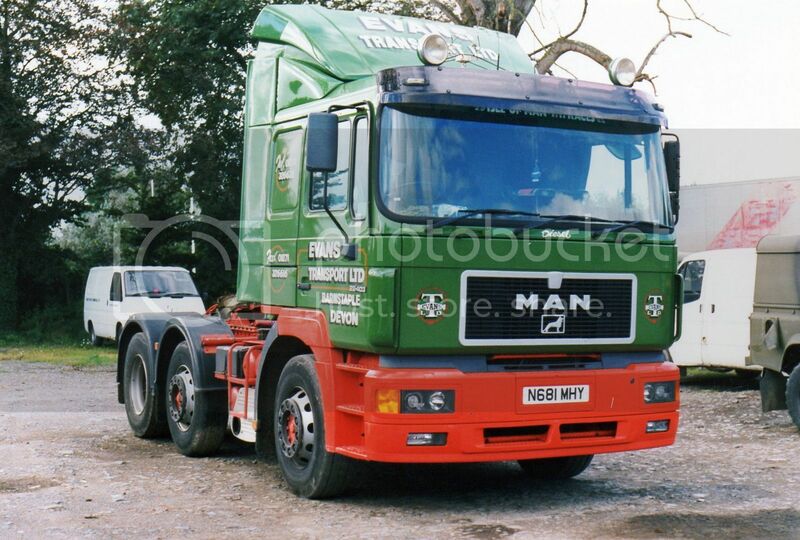 From Barnstaple in Devon comes this 6x2 MAN 22-403 of Evans Transport Ltd.